Yesterday I saw Amy’s obituary notice for the first time. While I vaguely remember the draft being shown to me, I had never seen the final notice. I crumbled as the stark reality stared me in the face. Her recent photo. I could not read it word for word, but I did read the comments. Nothing remarkable as everyone was stunned when Amy passed away so suddenly. Thoughts and prayers. Forgive me that I detest that the reaction to my daughter’s devastation day was summed up in three generic words. Thoughts and prayers. Unless I go senile, which is probably a distinct possibility, I will never ever use those words to convey my condolences. Yet I know that many had sincere intentions when they wrote those three words but quite honestly, I would much rather have had someone say that they realized that my daughter was a wonderful person and acknowledge that the world would never quite be the same without her. 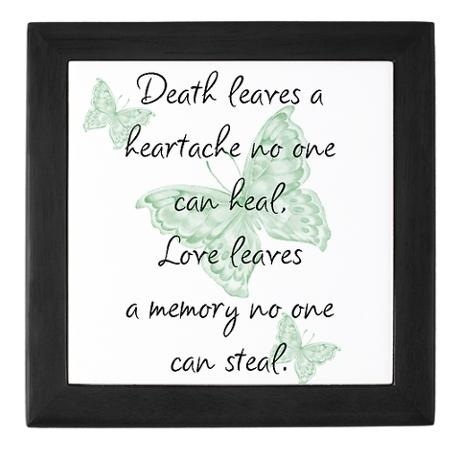 Okay, so maybe that statement will only apply long term to our family and those who were truly blessed to know my daughter, who was so loving, giving and caring. I do not know Amy’s time of death nor do I need to retain one more reality that I can attach to the clock each day. As we approach Devastation Day, next Monday, my husband and I are crying more often. We went to the cemetery yesterday before the grim reaper comes to steal all the flowers, etc. we lovingly place there to soften our own pain as we visit her grave a few times a week. Seeing your child’s named on a tombstone is excruciating! So next time anyone wonders why I still cry each day as the reality seeps in more and more, just pause for a moment and thank your lucky stars that you are not visiting the cemetery where your child is buried. This may seem like a harsh posting. Guess what! There is nothing good about this for us. I am strong as some reminded me in the early days after August 4, but no way am I strong enough to handle this tragedy. Yet, what choice do I have? I get it and need no reminders that I have reasons to brush myself off and move right along. I know I am still blessed but I am a greedy woman who wants to spend the rest of her life with all three of her children. When my husband and I were chatting on the way back from the cemetery, we both agreed that we do not expect others to be devastated by our loss or for our loss to change their life in any drastic or subtle way. However, if you are still in my life after Devastation Day, please, I beg you, to realize while your life is unaffected by my tragedy, our life is forever changed and we carry an invisible wound and pain that you don’t have to understand, but you can extend us a little courtesy when addressing us by never ever expecting us to forget our daughter existed or judging us for our inability to bounce back to where you think we should be after almost one year without our sweet Amy. Trust me, you have no idea what life has asked us to do, living in a world without our Amy. ← I Can’t Believe My Child Has Died! I’m so sorry for your beautiful daughters death. I’m sorry for your pain. I understand not knowing Amy’s time of death – I didn’t know what time my daughter Bryer died until well into our 2nd year without her. I didn’t need to know, and I didn’t want to know. Those are just details that in no way change or alter the finality of her being gone. You’re in my thoughts, and I’m sending you strength for all of your tomorrows. Thank you Toni. I am so very sorry for the loss of your daughter, Bryer. Everything hurts now. My heart aches for you. I got through the one and two year anniversaries of the passing of my husband and sister just recently and while it was sad, they have lived their lives. Not long enough, it never is, but they had many more years than your daughter. So damned unfair. Keep blogging if it helps you and don’t ever apologize for your feelings. No one is being held hostage to read your words. I am so very sorry for your losses. That’s a lot to handle and I wish you peace.